D gave me his Mum’s silver Pandora bracelet about 5 years ago, it had some charms already on it and he has bought me charms for birthdays, Christmas and when we go on holidays since then. A couple of years ago, he also bought me a purple double leather bracelet. I love my Pandora bracelet – so many happy memories. I’ve never really looked into anything by Pandora… But I might have to, to see if there’s anything my wife would like! You such a great collection of charms there! I love how some of them are personalised, and I am intrigued to hear more about the breastmilk and hair one!! 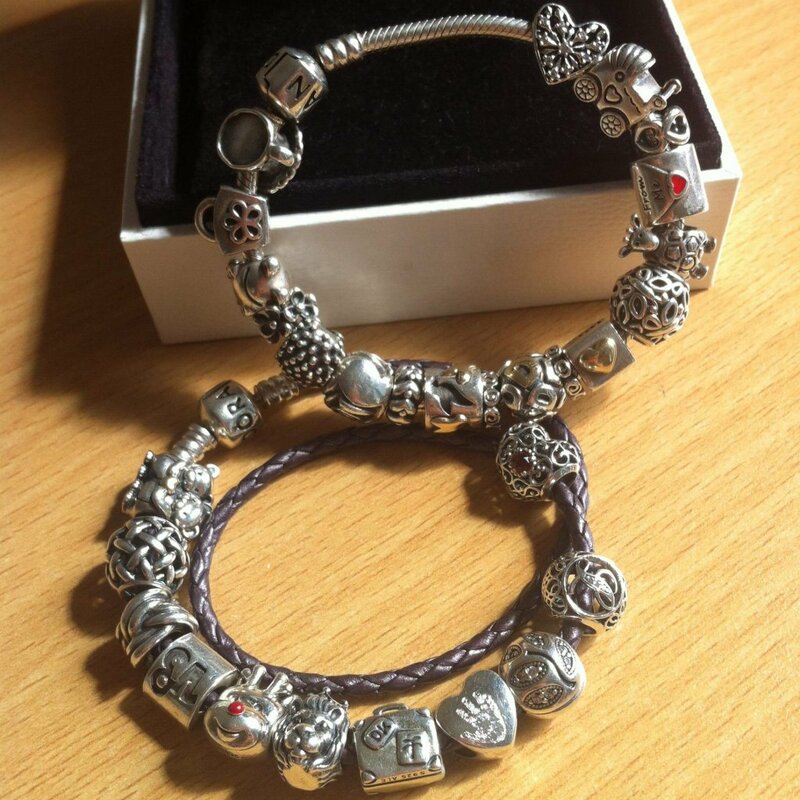 You have so many lovely charms for your bracelet! I wish I had one. Oh wow I never knew you could get charms made with baby prints and breastmilk! I don’t have a Pandora bracelet, I have an old fashioned charm bracelet. I’d love to have charms with my little one’s hand print on. That must be so special. WOW! 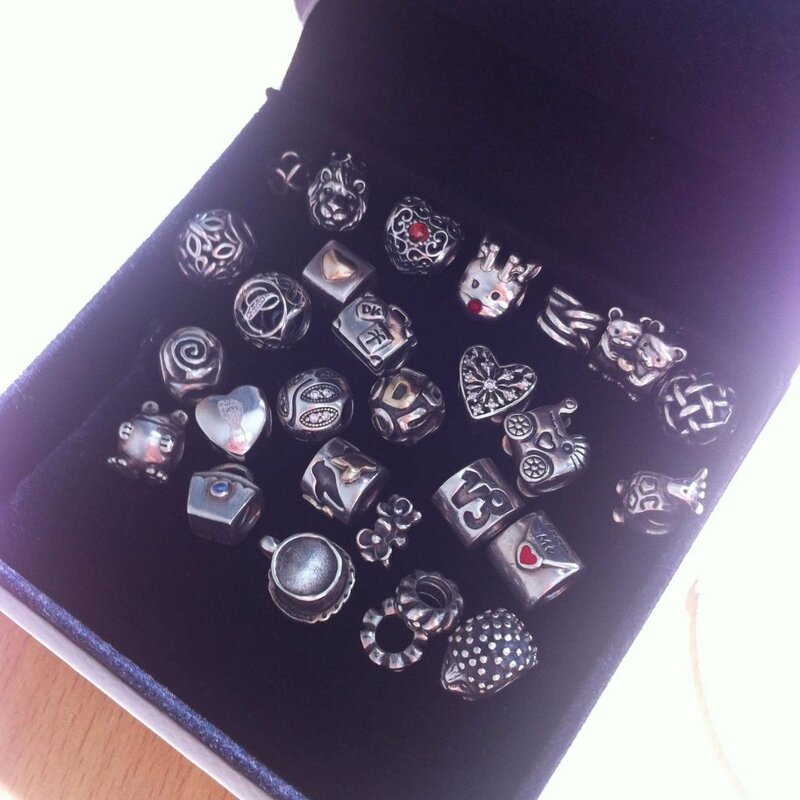 Your charm collection looks so impressive! I only have a couple of charms.